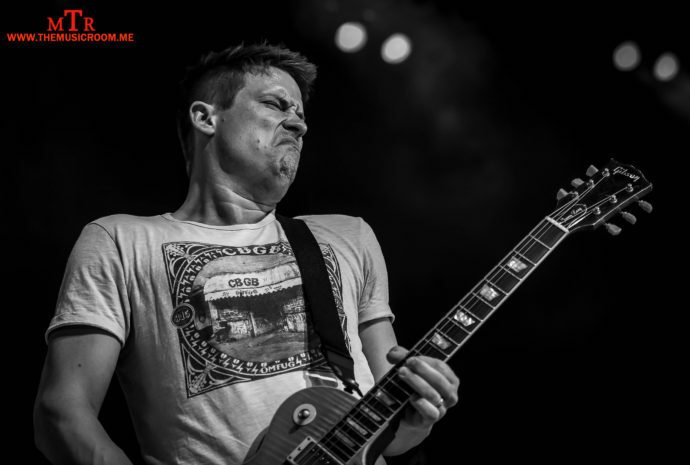 Jonny Lang sprung onto the scene back in 1997 with the landmark record, “Lie to Me.” Since that time, Lang has continued to produce quality albums and has built a reputation for delivering the goods live. He has shared the stage with the likes of B.B. King, Eric Clapton, and of course Buddy Guy. 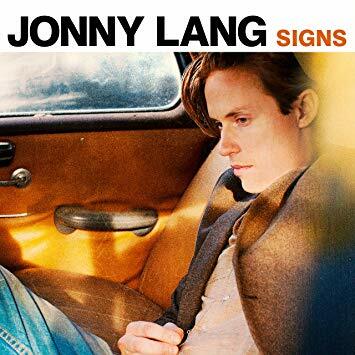 In late 2017, Jonny released his latest record, “Signs.” The album is a bright light in what can be a dark world these days. We originally spoke to Jonny in August of 2014. 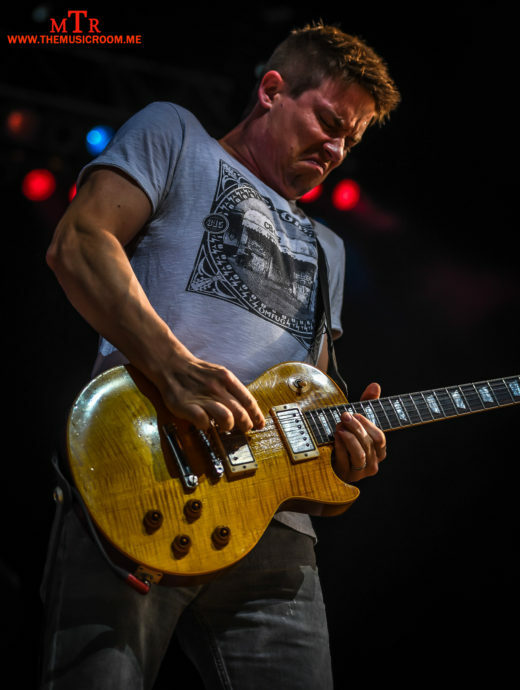 With the new record, we thought it was time that we catch up with Jonny Lang. He was gracious to give us some time on the day of his show at the Rose Music Center in Huber Heights, OH to tell us about the new record. Then we got to witness Lang and his band live. 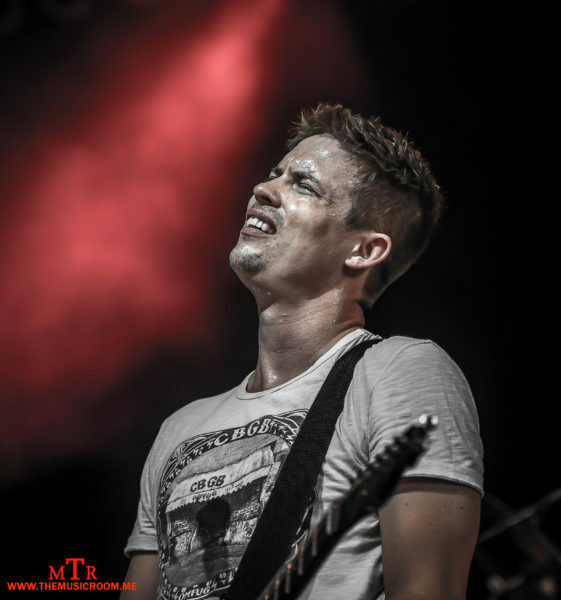 One thing is clear…after 21 years in the business, Jonny Lang is as good as ever! The Music Room: Hey Jonny, what’s going on man? I can’t believe it, but it has been four years since the last time we spoke. It was when the “Fight For My Soul” record was coming out. TMR: Yeah. I was looking at the interview and thought it was time to catch up on your latest record, “Signs.” It’s such a powerful record, I wanted to talk to you a bit about it. TMR: I know you had seven years or so in between records when you made “Fight For My Soul.” “Signs” came a little faster. How was that process for you? Did you feel more in your groove when you went in to record the record? JL: It felt about right. Life opened up a little bit and allowed for making a record there. It wasn’t too bad. TMR: It sounds like you had a lot to say with the material on the record. Did the songwriting flow easy for you on this one? It just seemed like there was a lot of intent and purpose behind those songs. JL: Yeah. I got to write most of them with Drew (Ramsey) and Shannon (Sanders), who I did “Turn Around” with. We get along really well as writers. So it comes out pretty easy when I’m writing with those guys. TMR: It seemed like the record had a couple of common themes to it. You had songs like “Make It Move,” and “What You Make of It,” that are very inspirational in like the songs say, to get back up and make the mountains move. Was it your intent to make a motivational record to encourage your listeners, or did it just sort of turn out that way? JL: Content-wise, the music, and the lyrics…interpretation can be made of what the lyrics are saying. I’m not usually thinking so much about that. It just happens. Usually, I’m just writing ideas for songs and sort of mumbling some words to go along with it when I’m coming up with it. The words that go along with the song to me at that moment and then just kind of build from there. Some of the ideas are things that I actually want to say, and then some of them are…I never really try to make a point with anything is what I guess I’m trying to say. TMR: It’s just one of those records that I get into with my headphones on, and the lyrics really draw me in. It felt like there was a lot to get out of those songs. You have tunes like “Wisdom,” and “Into the Light,” which I really appreciated. Then you have the track, “Singing Songs,” which is the last song on the record. It’s an epic song. I was curious about that one. It was something a little new to me as far as your records go. That song is on another level. Was there anything special about writing that one? JL: That was one I started playing like nine or ten years ago. We were sitting on the bus messing around, and then it just sat there for a long time. When had the lyrics, “Singing Songs,” but we didn’t know what that was going to mean. We finished it with Drew and Shannon and that’s when it took on its form you hear on the record. I’ve always wanted to do a big song with string arrangements. I have a lot of songs that are along those lines and could be something like that, but I’ve just never put them on a record. I never saw an opening for that until now. It was fun to do. TMR: It’s the perfect ending to the record. It ends and you just sit there for a minute going, wow. The whole record does that. Like I said before, it is such a positive message in such a negative world. I know that may not have been your intent. Whether it was or not, how do you manage to keep your perspective in the current world in which we live? JL: I struggle with getting bogged down by it too. Writing songs is sort of my catharsis for that. That’s my way of talking myself into being positive (laughs.) So I need it just as much as anybody. TMR: I think this record will help a lot of people as far as okay, there is an alternative to being just doom and gloom. 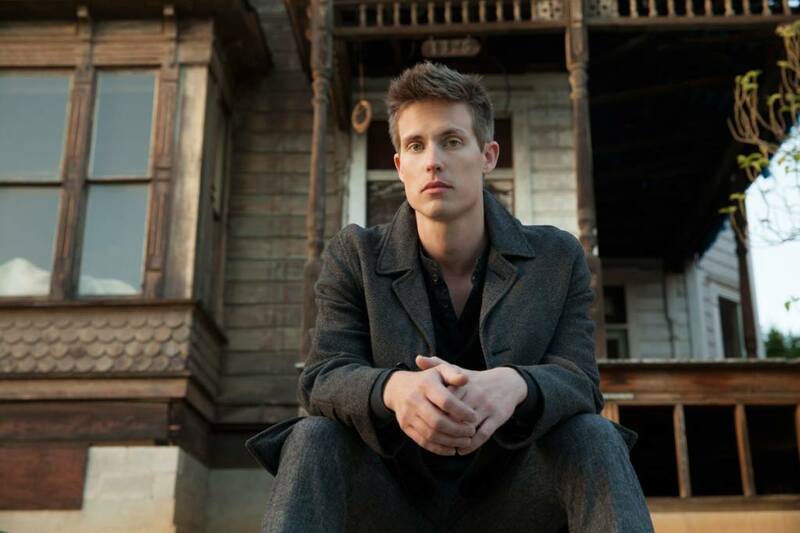 TMR: Considering that I have followed you and your music since “Lie to Me” to know, I think your story is amazing. Have you ever considered writing an autobiography about your life? JL: Uh…no. I never have, but maybe one day. TMR: The last time that we had talked, I asked you about playing with legends like Buddy Guy and B.B. King. Now, I think that you are the guy that a lot of up and coming artist look up to. Are there any newer guys on the scene that you would like to do something with someday? JL: There are tons of…I almost said kids (laughs.) There are a ton of new people playing music…one of them is Quinn Sullivan. He’s pretty awesome. 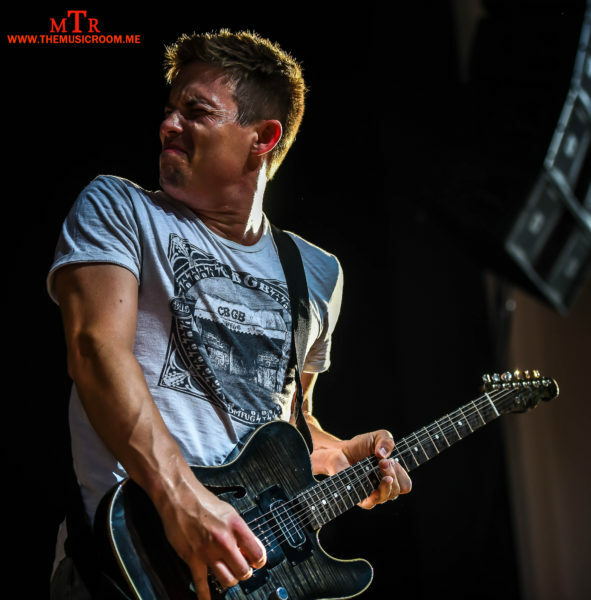 He’s a great guitar player and singer-songwriter. But there are a bunch of young folks starting to play. JL: Oh yeah, definitely. We try and do as much as we can to spread it out across the albums from over the years. But we’re definitely going to do a bunch from signs. See our full photo gallery from the show here!! !